Haven't posted in awhile, it has been pretty quite. 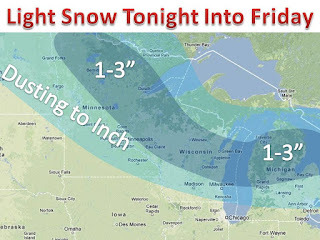 Tonight and tomorrow will bring some light snow for many areas, see map. 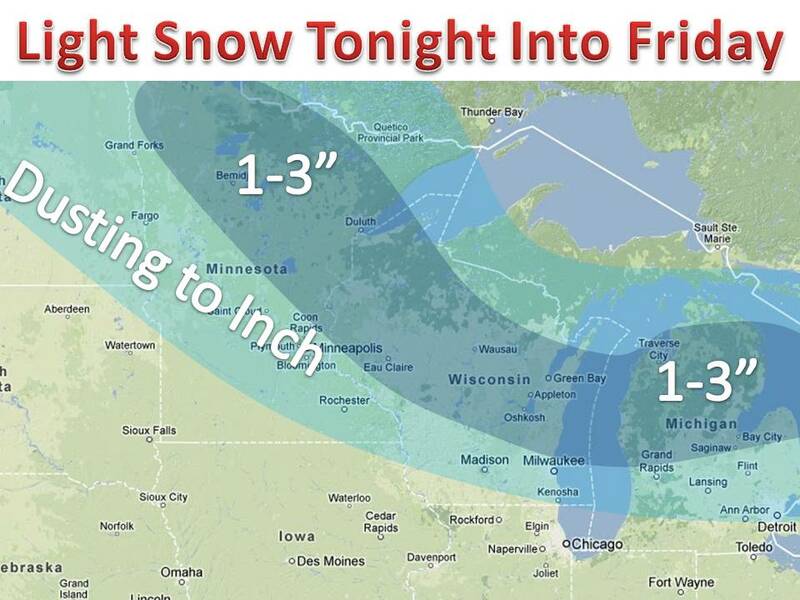 Another system will bring the chance for some snow showers, especially in northern areas. Next, attention turns to early next week. The coldest air on the year will dive south, leading to highs below zero, cold enough to close schools. The outbreak looks to stick around until Wednesday, when a warm front will move through and cause winds to shift in a southerly direction. This will lead to a likely storm on Thursday, will rain and accumulating snow. Stay tuned.